Goodreads: Detroit, 1971. Harry Levin, scrap metal dealer and holocaust survivor, learns that his daughter has been killed in a car accident. Travelling to Washington DC, he's told by Detective Taggart that the German diplomat, who was drunk, has been released and afforded immunity; he will never face charges. So Harry is left with only one option - to discover the identity of this man, follow him back to Munich and hunt him down. The first of a two-hander, Peter Leonard's new novel is a classic cat-and-mouse thriller. Told with swagger, brutal humour and not a little violence, it follows a good man who is forced to return to the horrors of his past. Kritters Thoughts: Mystery, suspense and quite a few dead bodies are the simple words I would use to describe this book. The present day is 1971 and Harry Levin has just lost his daughter when she is killed in a car accident. Ironically, the person that caused the accident is connected to Levin in more ways than just this one. With a Holocaust survivor and a Nazi who doesn't want to stop the mission of the organization, the book rehashes the not so pleasant details of that time in history. The author takes the reader back in time when it is necessary to allow the reader to have the full story. As the Nazi - Hess tries to further the mission he leaves quite a few dead bodies along the way and learning their connections to the greater story is intriguing. This book isn't for the faint of heart. At times, I had a heard time rediscovering the details of the Holocaust. I enjoyed learning about personality traits that are prevalent in survivors and to see how it affected their lives almost 30 years after it ended. I am recommending this book to those who already have an interest in this time in history, but also to those who want to see a personal side of one survivor. Disclosure of Material Connection: I received one copy of this book free of charge from Partners in Crime Tours. I was not required to write a positive review in exchange for receipt of the book; rather, the opinions expressed in this review are my own. Great review and post. I too enjoyed learning more about the reality of the Holocaust. 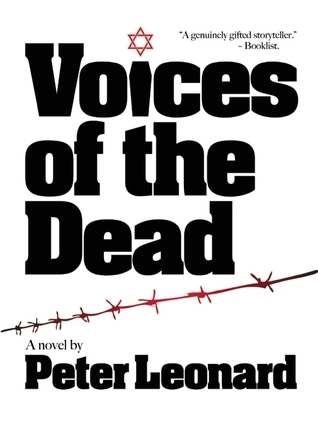 I thought Mr. Leonard did an exceptional job interweaving it into the fictional plot. Thank you.